The 'Privacy' star was allegedly handed the papers at his 28th birthday party. Chris Brown has responded to allegedly being served a restraining order from his ex-girlfriend, Karrueche Tran, at his birthday party. Reports emerged over the weekend that the 'Privacy' singer was hit with the charges whilst celebrating his 28th birthday at Grooves Nightclub in Houston, Texas on Thursday (4th May). TMZ reported that Breezy was handed the papers as he made his way from the club to his car after the event. However, the troubled R&B star has now appeared to hit back at the claims. Breezy stepped in to deny the rumours after The Shaderoom posted a preview of TMZ's original report on their Instagram account. "Super lie," he commented below the post, "Try again." While Brown's representatives are yet to officially respond to the claims, Karrueche Tran is reportedly ready to face her ex-boyfriend in court. The model and actress previously claimed that Breezy verbally and physically abused her during their on-again-off-again relationship. Tran said Brown kicked her down a flight of stairs, punched her in the stomach, and threatened to shoot her. TMZ reports that Tran hopes to "inspire other women similarly situated to come forward and confront people who brutalize them." 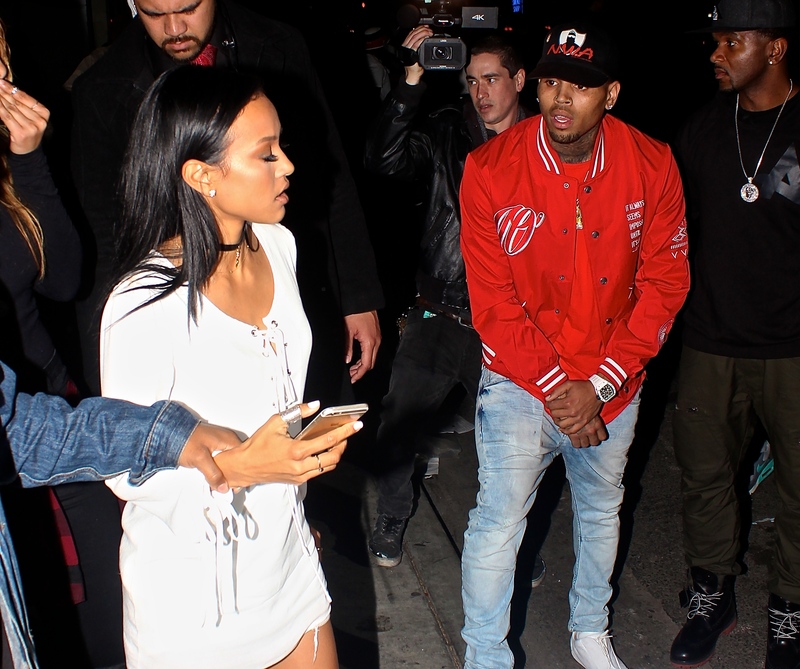 The publication reports that Karrueche has "built up her confidence to finally put an end" to the continuous drama. The official hearing is reportedly scheduled for late May. 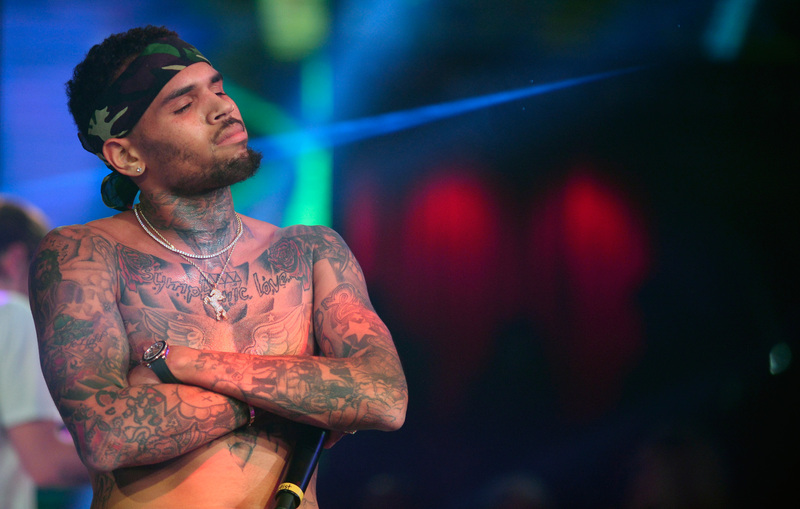 Meanwhile, Breezy is preparing to release his upcoming 40-track album 'Heartbreak On A Full Moon'.